It had been a slightly longer break than initially planned for Seb, at the back end of the season. 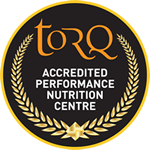 It had taken Seb a little while to get over a lingering illness and he understandably wanted to overcome it and be back in top shape and ready to tackle the final races of the season. 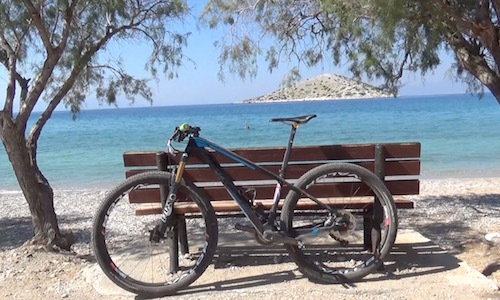 First up at the weekend was the Salamina Island S2 Three-Day Stage Race, just off the coast of Athens. 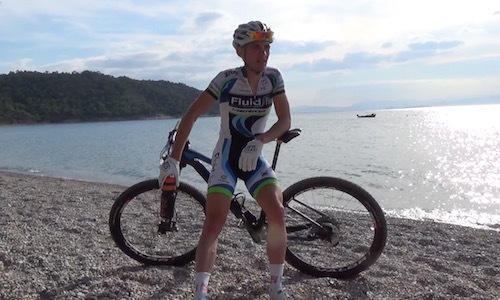 Hamish and Seb raced on Salamina last year, when it was back-to-back XCO races, so it was familiar terrain to return to. With the significant number of UCI World Ranking points up for grabs, and a number of countries globe trotting before next year’s Olympics, a truly World class field made its way to the Mediterranean island. The race kicked off with a time-trial late in the afternoon. One lap all out around what would be the XCO track the following day. Getting his campaign off to a solid start, Seb took 19th position. The blistering fast pace of France’s Stephane Tempier put him in to the leader’s jersey at the end of day 1. The lead group formed on the tight trails, with Seb getting caught on the wrong side of the split. He made a massive effort on lap 2 to bridge the gap and got within touching distance. The result was good enough to move Seb up in to 13th on the general classification going in to the final day’s racing. Stage 3, on paper looked like the Queen stage of the race. After an 8km neutralised section from the town centre, the profile immediately kicked up in to a steep 5km climb, making its way over the mountain to drop down in to where the previous two stages had been held. Seb remained in the lead pack for the majority of the stage before starting to feel the heat in the final 30 minutes. He still held on to take an impressive 9th, close behind some of the World’s “big guns.” He averaged an almost ridiculous 22.5km/h for the day, on a course which included 1000m of climbing. 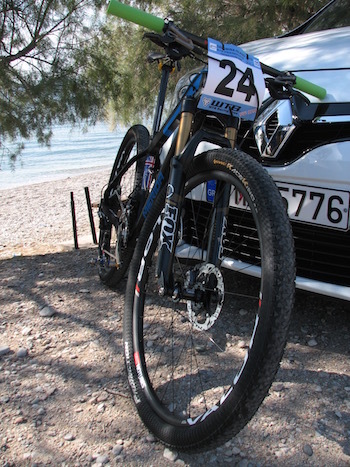 “It was nice to end the race on a high and finish 12th on the GC. I often seem to get better with each day when in a stage race; I think I get in to a groove and also recover well.